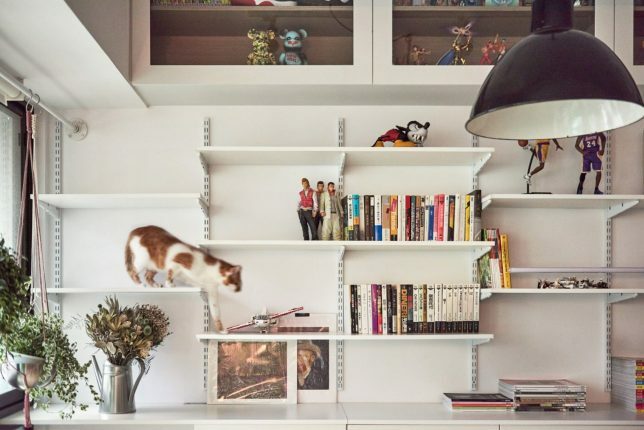 The owners of these feline-focused houses understand that humans don’t own cats – it’s the other way around. 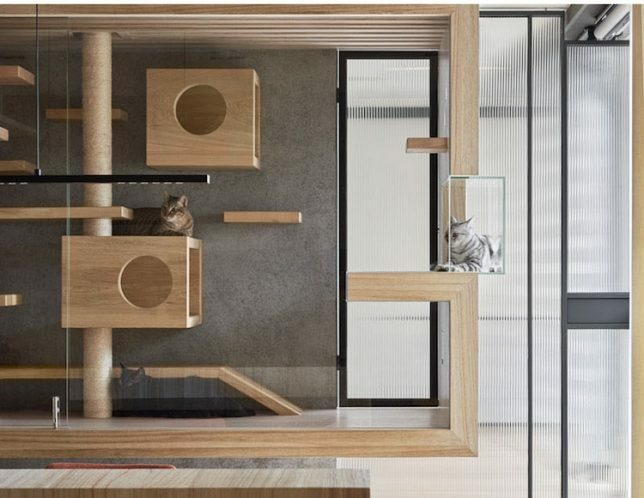 They commissioned interior designers and architects to build cat walkways, window nooks, climbing shelves and chic glass lounges right into the design of their homes, whether to boldly put their cats front-and-center or subtly take advantage of unused vertical space. 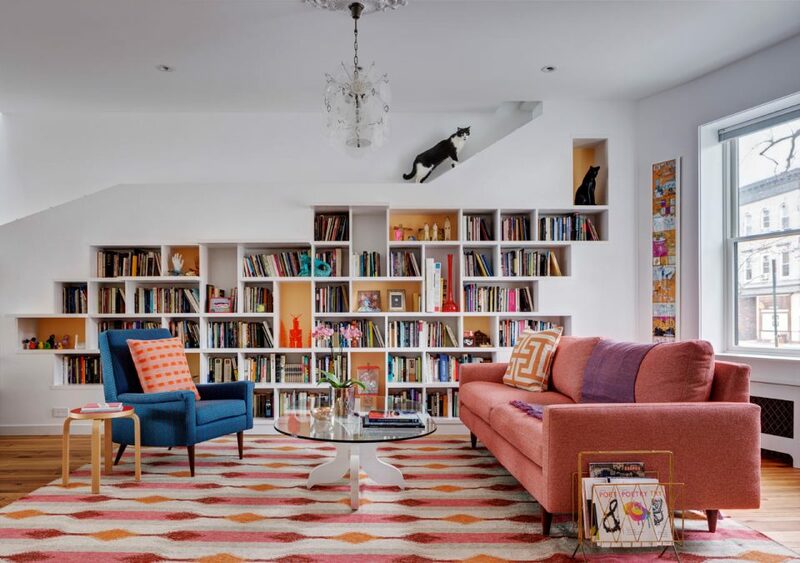 These streamlined modern results prove you can craft a home that meets your pets’ needs without looking like you live in an animal shelter. 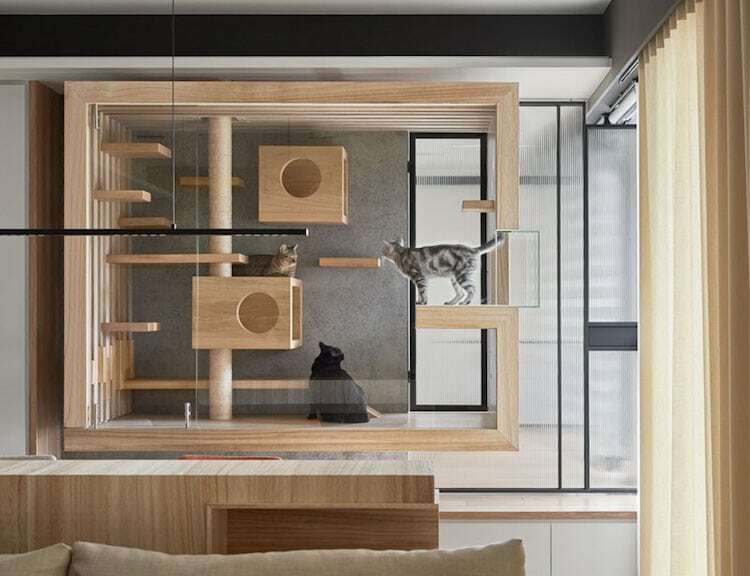 Taiwan-based studio INDOT gave a pair of cats a bedroom of their own with a modern glass enclosure full of wooden perches. 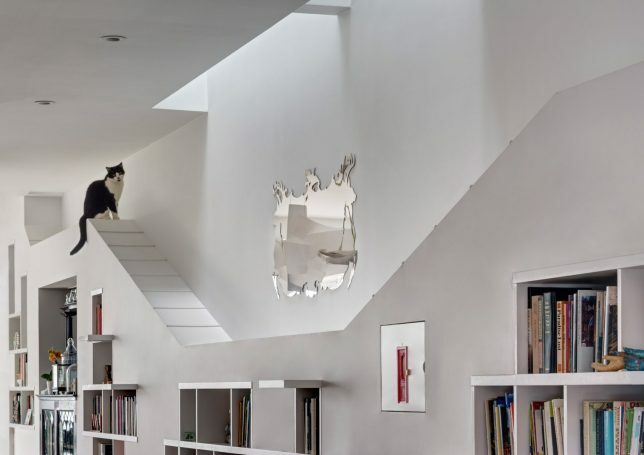 The ‘floating’ box hangs within a recessed wall of the living room, giving the family a view of their pets. Wooden slats on two sides offer ventilation. 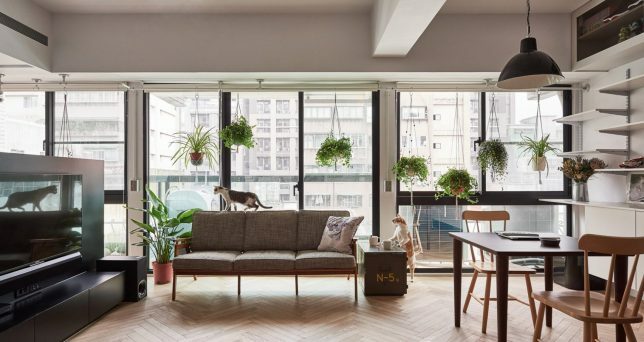 The owner of this Taipei apartment included his two cats in the design scheme from the very beginning, asking ST Studio to keep their needs in mind, too. 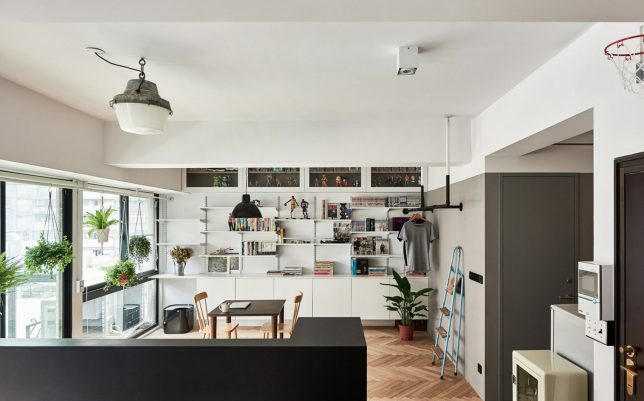 As a result, the design team transformed the two-bedroom apartment into an open-plan studio so the cats can freely roam, with plenty of natural light, plants and staggered shelving for them to play on. 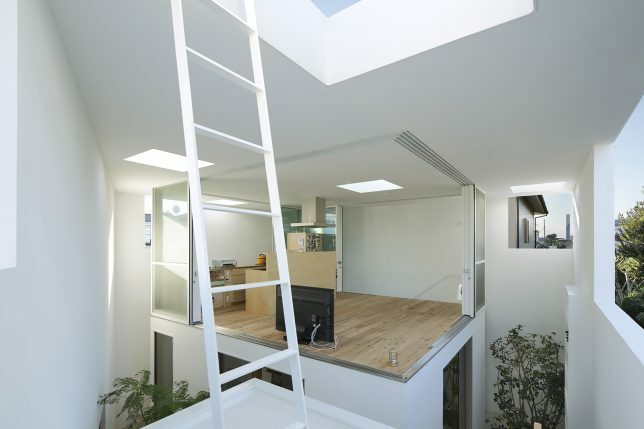 Note the subtle cat walkway that runs over the living room windows. 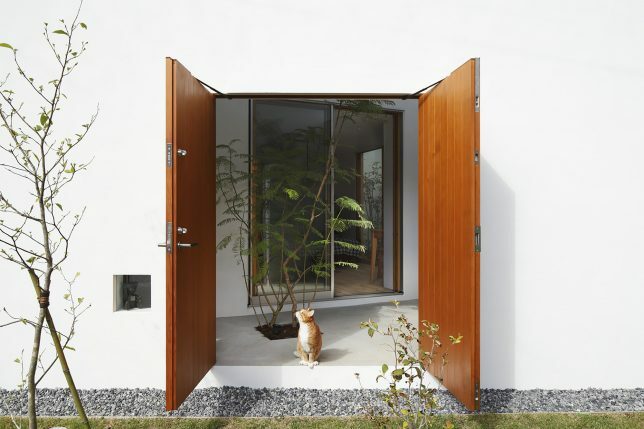 The entire premise of ‘Inside Out’ by Takeshi Hosaka Architects is that designing our homes around cats actually improves the quality of our own lives, too. 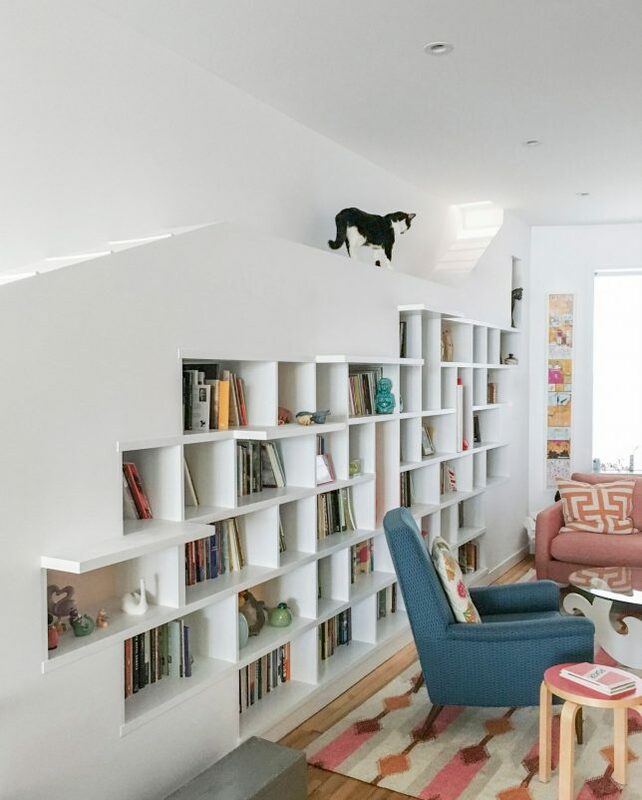 What do indoor house cats want, after all? 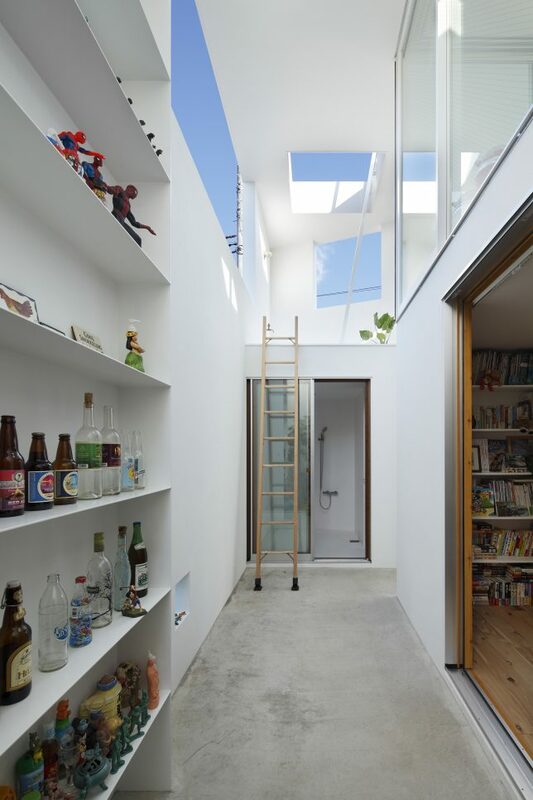 Lots of sunshine to lounge in, the feeling of being outside while also being safe, and plenty of nooks to investigate. 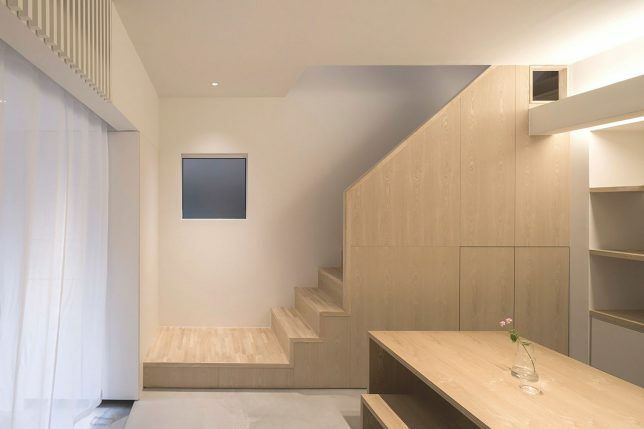 Japanese studio Takeshi Hosaka enclosed the private core of the home within an outer envelope to create liminal spaces with access to fresh air and even rain. They wanted the experience of being in the house to feel like being outside. 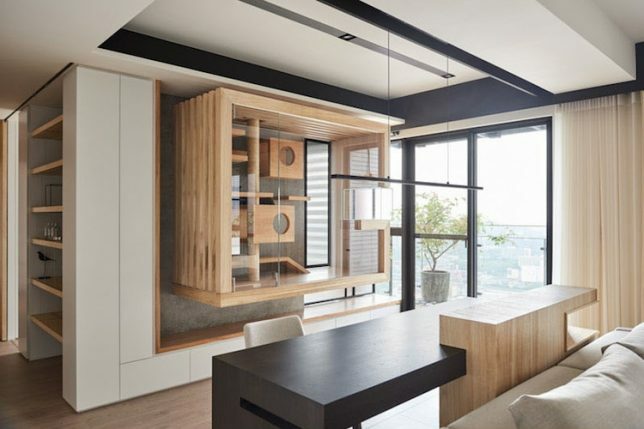 Yet another ‘catwalk’ is incorporated right into the design of a home with Tokyo-based studio Do Do’s ‘House-Is’ project, a renovation for a graphic designer and his wife that adds built-in elements and workspace into a small house clad in black corrugated metal. The catwalk runs along the entirety of the first floor.